We've done spiritwear for thousands of groups. Choose a design & prices that will ADD to your success. 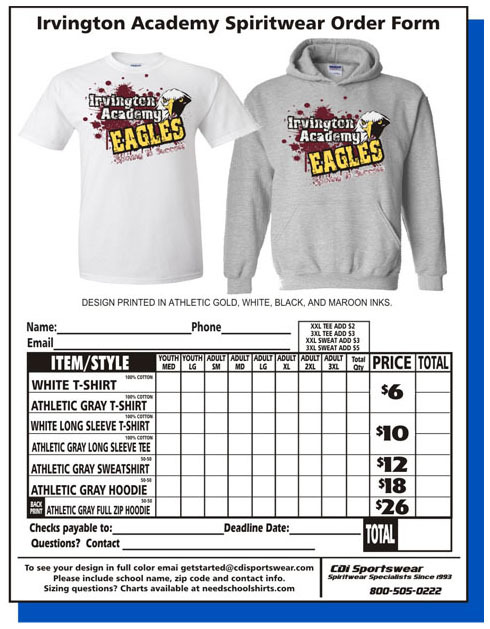 Make spiritwear available for a limited-time and ONLY take orders for 2 weeks. 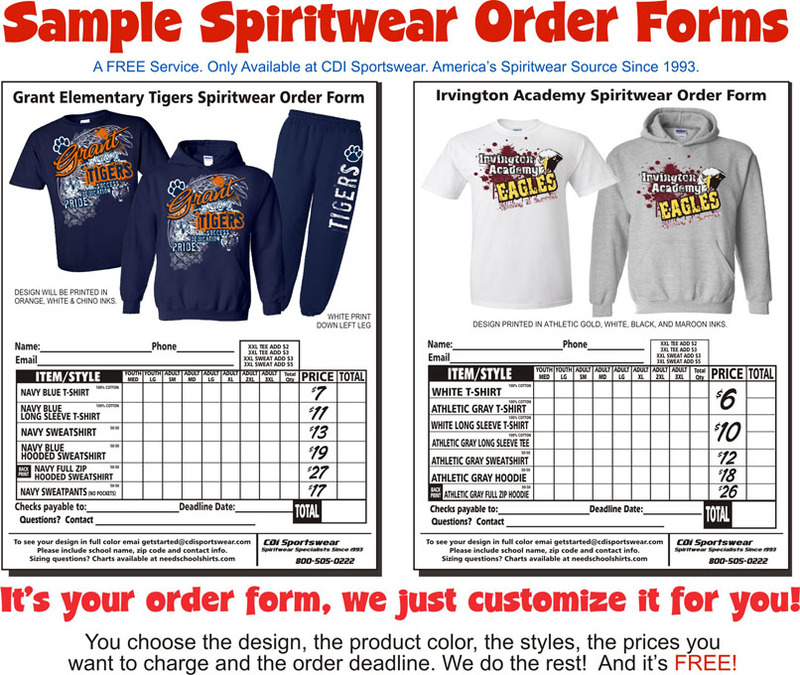 Distribute the spiritwear order form to students, parents, and staff. 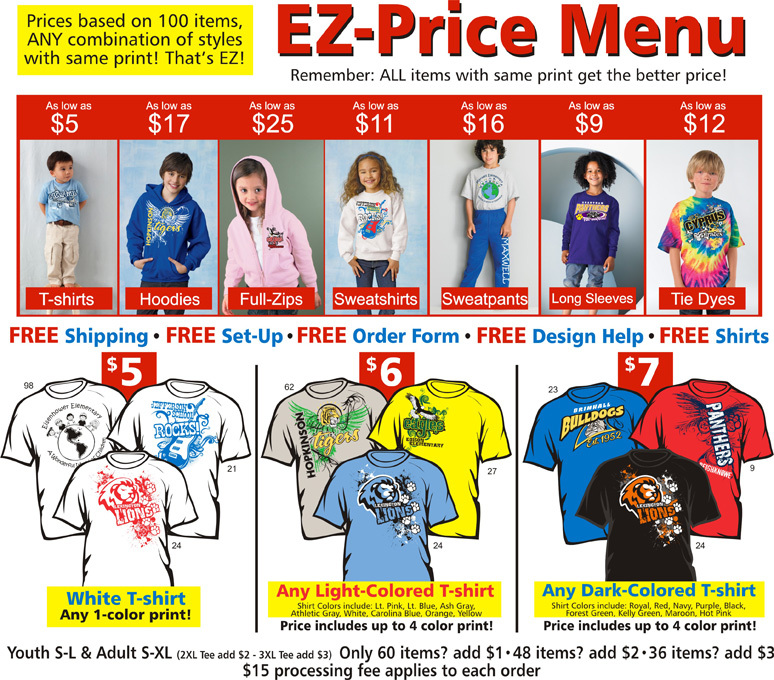 The best way to collect orders is by classroom and/or main office. Once all orders are in, simply tally them by size & style. That's it! You are ready to order! will have a successful spiritwear campaign. After all, school spiritwear isn't rocket science. Why take any risks with your spiritwear when you don't need to.